In round 2 there were 4 participants competing. In most cases the ranks on an instance in the 10 different runs were identical. The complete archive with solutions is here: XHSTT-ITC2011-hidden_itc2011_round2.zip. It might be difficult to run HSEval on this file. 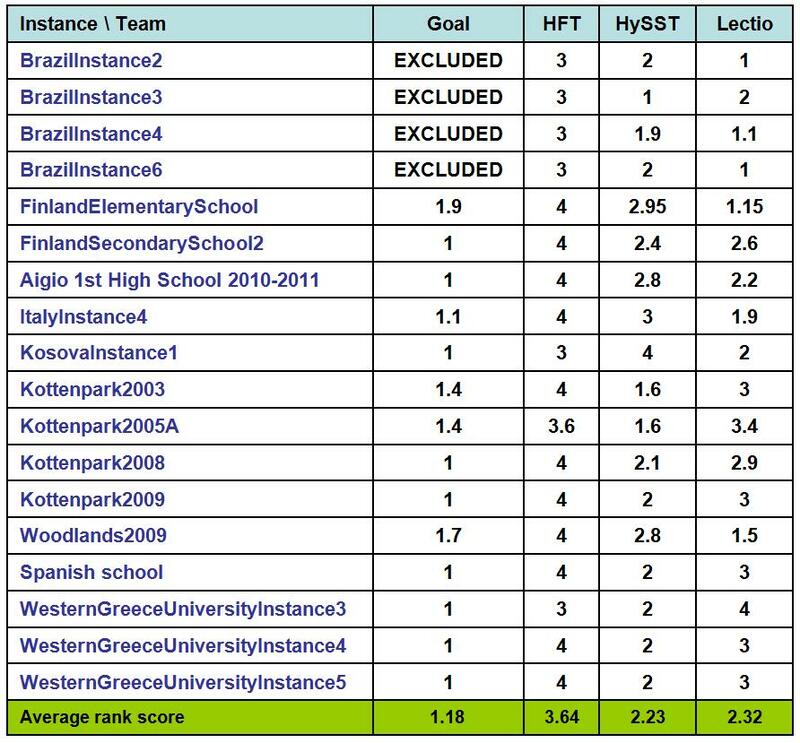 If you can, you will obtain the detailed report as in itc2011_ranking_round2.htm. Below is table with the average ranks per instance, with team GOAL as clear winner.